Our Pro Base Screen comes fully assembled in two sizes: 7’x7′ and 8’x8′. Comes Standard with #60 HD twisted knotted nylon netting. 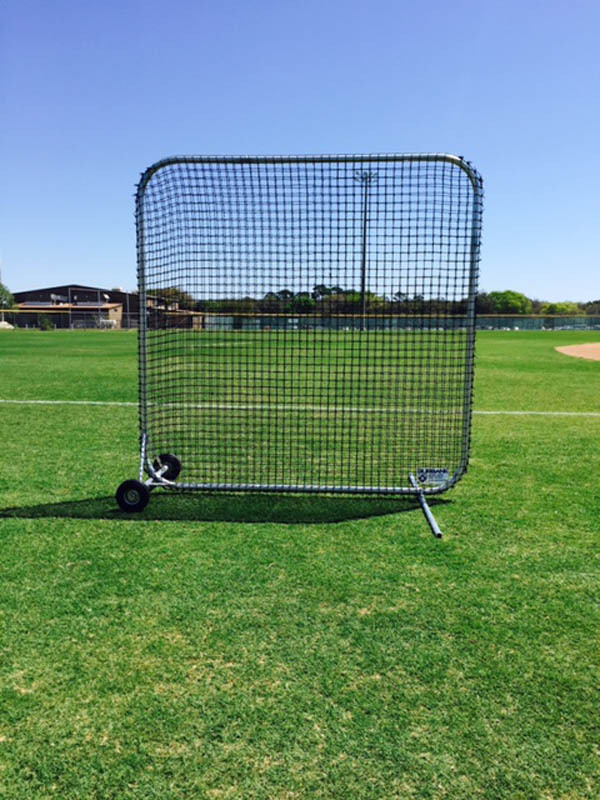 Our Pro Base Screen comes fully assembled in two sizes: 7′ x 7′ and 8′ x 8′. The Pro Base Screen provides protection for players during BP. Pro wheels allow easy maneuverability on and off the field. It is available with different netting options along with all welded aluminum or galvanized steel construction. All Burbank frames are made here in the USA at our facility by an experienced welder.